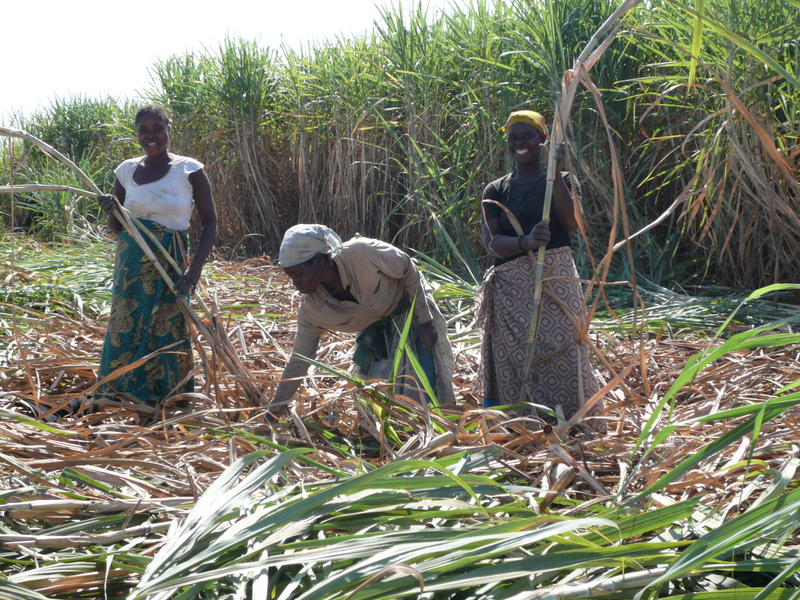 Did you know that all the Fairtrade sugar in Divine comes from Kasinthula Cane Growers Association in Malawi. Masauko Khembo has travelled over from Kasinthula to celebrate Fairtrade Fortnight here in UK. Here at Divine we’re looking forward to meeting him and hearing more about Kasinthula – but in the meantime we asked him a few questions…. KasinthulaCane GrowersAssociation (KCG) is a smallholder sugar cane projectlocated in the in hospitable Shire River Valley District of Chikhwawa in the south of Malawi.Long droughts occasionally result in famine and the twice-yearly rains frequently bring floods.Most families eke out a living growingmaize, cassava or rice on the arid land, whileothers earn cash from sugar cane or cotton or work on nearby sugar plantations. Poverty is rife with most people living in very basic mud huts and few able to afford to keep livestock. 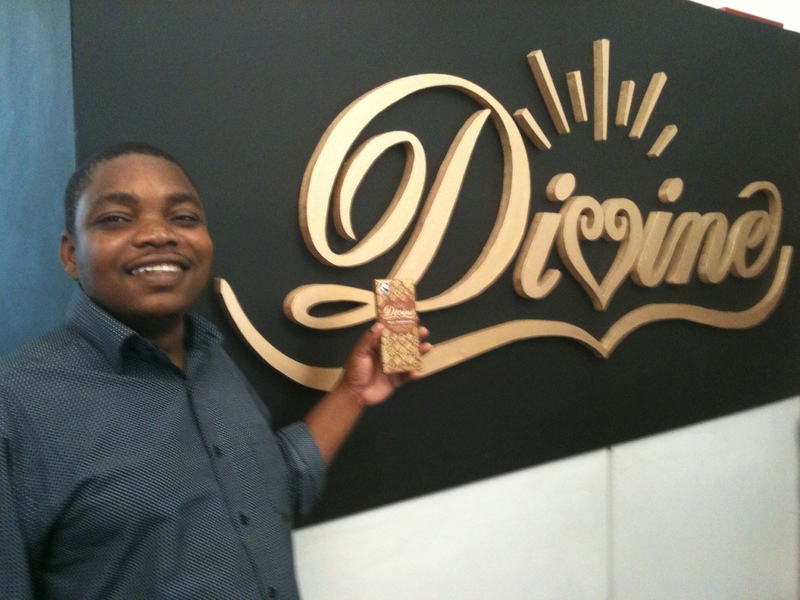 What do you think of Divine Chocolate, which is made with Fairtrade sugar from Kasinthula? Having tasted it I find it much better in terms of taste than those we buy at home which are made in South Africa. Divine Chocolate and other organisations that use Kasinthula Fairtrade sugar are like bringing divine intervention on reduction of poverty on Kasinthula farmers and surrounding communities. Lives of Kasinthula farmers and surrounding communities have really been transformed through FT.
What is the most important impact that being Fairtrade certified has made on the lives of sugar farmers in Malawi? So much impact. Not only on sugarcane farmers but even the communities around the sugarcane farms. One example I would give is the primary school that has been constructed using Fairtrade premium funds. Before the school construction children had to walk more than 5km to the nearest school. For them to be able to walk such distance they had to be 7 or 8 years old. With the school they are able to start school at 5. Because of starting school late most girls could not complete primary school before getting married. With the school they will be in eighth grade which is the last in primary school at the age of 13. They should be able to go to secondary school before they think of getting married. Kasinthula farmers are now living in better houses (brick walled and iron sheet roofed). Most of them have houses that are electrified. They now have access to portable water separating them from livestock in terms of sharing source of drinking water. What are your hopes for the future – for you personally – and for Kasinthula? What is your message for people here in the UK (and the USA where Divine Chocolate is too)? Personally my hope is to work for a bigger Kasinthula with more farmers than currently are. A bigger Kasinthula means more people getting out of a poverty trap. For the people in UK and US my message is buy more of Divine chocolate. There may be more brands of chocolate in the market but by buying Divine chocolate you are supporting famers and surrounding communities at Kasinthula. You are sponsoring construction of schools, improving maternal and child health of the people of Kasinthula, you are preventing sharing of drinking water between animals and people as people are now drinking from boreholes drilled using premium funds while animals continue drinking from rivers.